The major finding is that the high spatial resolution (30 m) of the Operational Land Imager (OLI) on Landsat 8 allows for the acquisition of spectral data for monitoring water quality from lakes and drinking water reservoirs across the United States. The implications are that the capabilities of Landsat 8, developed for landscape/landcover studies, could be used as a tool for the high temporal and spatial monitoring and assessment of freshwater aquatic systems. What insight did you gain from this study? The insight gained was that the optical character of freshwater aquatic systems is highly variable and complex and present a unique challenge for processing spectral data to derive monitoring variables such as water clarity. 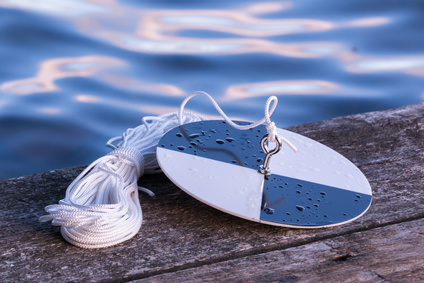 Do you foresee Secchi depth retrieval for lakes and reservoirs from Landsat or other optical satellites as a future operational product that could be used by the EPA or other entities? I strongly agree that ocean color remote sensing from space-based systems such as Landsat will provide operational products. In the near term, I see the incorporation of secchi depth data as a product of the EPA Cyanobacteria (CyAN) app which product will provide the public as well as federal, state and tribal communities with accurate data for use in their environmental assessments. Keith, Darryl, Jennifer Rover, Jason Green, Brian Zalewsky, Mike Charpentier, Glen Thursby, and Joseph Bishop. 2018. “Monitoring algal blooms in drinking water reservoirs using the Landsat-8 Operational Land Imager.” International Journal of Remote Sensing 39 (9):2818-2846. doi: 10.1080/01431161.2018.1430912.